A well-known Supplier, Exporter and Importer of hose clips provide you another hose clip made with zinc. 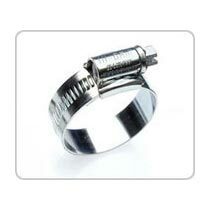 Hi Grip Zinc Plated Hose Clips are very useful in the area where the pH scale is below zero. These are highly demanded by customers because of their durable nature. We provide this quality at your doorsteps. Our customers can avail it from us at a reasonable price.